Burlington's foreign policy has languished since the Sanders-Clavelle era, when the Queen City palled around with Sandinista Nicaragua and with cities in Russia, Israel and the Occupied West Bank. But Burlington's current mayor, Miro Weinberger, may be able to plug the city back into global politics. 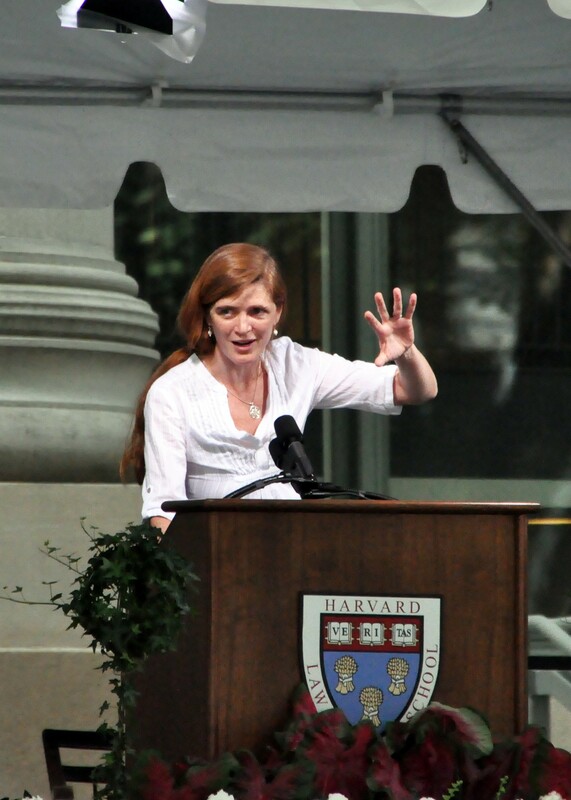 "Excited for long-time friend — world will be better place," Weinberger tweeted on Wednesday in response to the news that President Obama has chosen Samantha Power to become the next U.S. ambassador to the United Nations. Burlington's mayor is a long-time friend of the special assistant to the president, and senior director for multilateral affairs and human rights on the National Security Council? Turns out Weinberger became buds with Power long before she acquired that mouthful of a job title in 2009. The two met as baseball radio announcers at Yale, and later were housemates for two years in Cambridge, Mass., while both attended Harvard. Power was also a member of the wedding party when Weinberger married the former Stacy Sherwat 13 years ago. "We were very good friends throughout college," Weinberger said in an interview on Thursday. The two bonded through sports. Power played basketball and ran cross-country at her high school in Atlanta. Weinberger was a member of the Woodstock Union High School baseball team that won a state championship in 1987, and he's currently catcher for Burlington's entry in the Vermont Men's Senior Baseball League. In addition to their play-by-play coverage of Yale baseball games, Weinberger recounted, the mayor and the U.N. envoy-designate cohosted a sports talk show on Yale's radio station. A few years later, the two regularly went running together while Power was earning a law degree at Harvard and while Weinberger was studying at Harvard's Kennedy School of Government. And in 2004, the BFFs attended the epic Yankees-Red Sox game at Fenway Park when Boston began its triumphant comeback from a 3-0 playoff series deficit. It was during their Charles River-side jogs in the late '90s, the mayor recalled, that Power "grappled with the need for the U.S. to respond to war crimes" in places such as Rwanda and Bosnia. She had come to Harvard after working as a foreign correspondent, filing stories about atrocities in the former Yugoslavia for outlets such as The Economist and The New Republic. Power was still troubled by the horrors she had written about, Weinberger remembered. And she sought to work out ways of preventing their recurrence in a Pulitzer Prize-winning book she wrote in 2003: A Problem from Hell: America and the Age of Genocide. Having taken diverging paths in politics, the old friends don't see much of one another any more. But Weinberger said he did meet-up with Power last year during one of his trips to Washington. "She's an extraordinary person," the mayor said in response to a question of how he thinks she'll fare as U.S. representative at the U.N. "I think she'll do a great job. She's deeply committed to the basic elements that make America, despite its faults, a model to the world."